Tata Motors Nexon SUV is ready and Team AutoColumn spotted production version variant on road today. The new upcoming Tata SUV is bold and beautiful. The 2017 Tata Nexon looks futuristic and stylish. The car boasts impact design philosophy of Tata Motors and has a minimum deviation from the concept model showcased in Auto Expo. 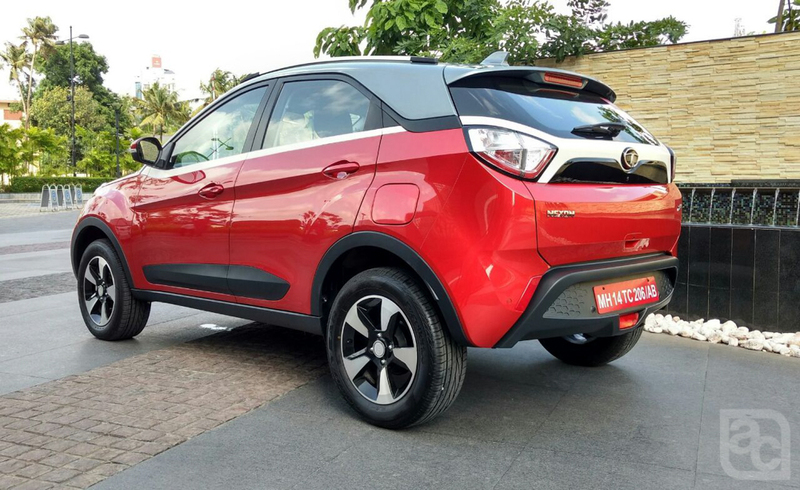 Internally known as X104, 2017 Tata Nexon is the new upcoming Tata SUV that will kill the market for all others compact SUVs with its features and pricing. New Tata Nexon is composing Tata Motors new design language. The chrome plate just below the grille and headlamp make this SUV look premium. Minimalistic use of chrome in fog lamp cover and first-time use of unconventional colors in car exterior design is a bold move from Tata Motors. Character line and floating roof are the key highlights in this new upcoming Tata SUV. LED DRLs and LED Tail lamp is again new and first in the segment. 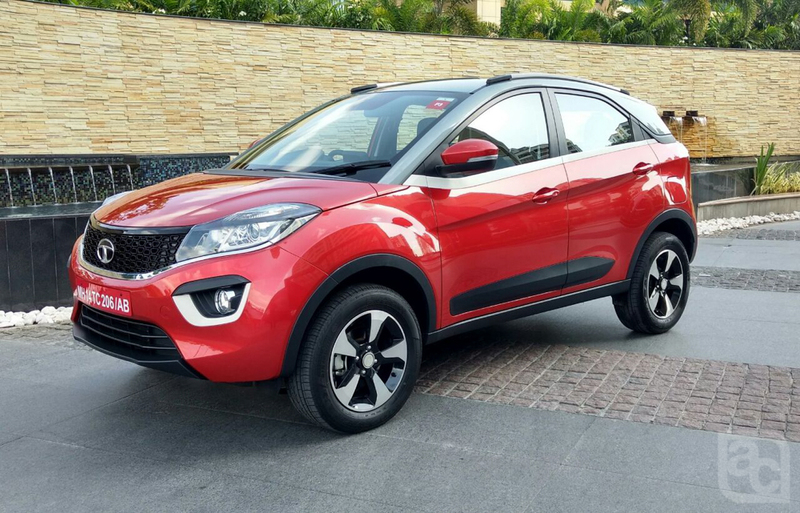 Tata Nexon is the new SUV from Tata Motors and the company is betting big on the product. Loaded with plenty feature the all new upcoming Tata SUV is ready to launch in a month time. 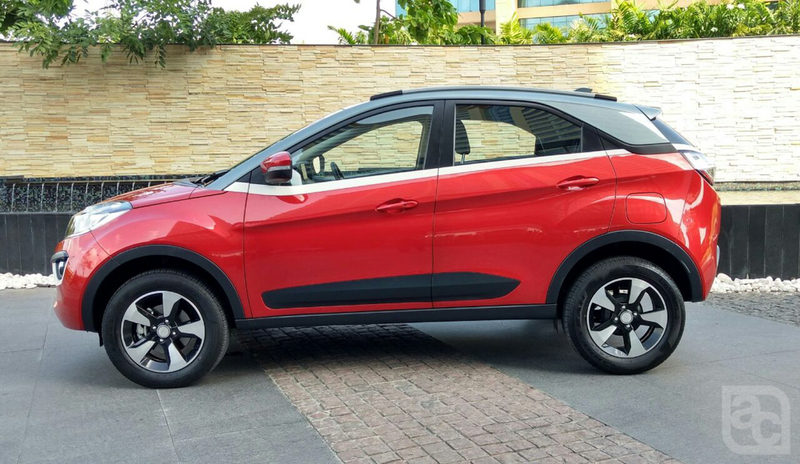 We have spotted blue and red color of 2017 Tata Nexon SUV near its plant in Pune. Tata Motors is going to be very aggressive with pricing point of this SUV. The starting price tag of 7.99 lakh is expected to come with this new upcoming Tata SUV. The top end diesel variant and the upcoming automatic variant is expected to come in a price range of 13-14 lakhs. 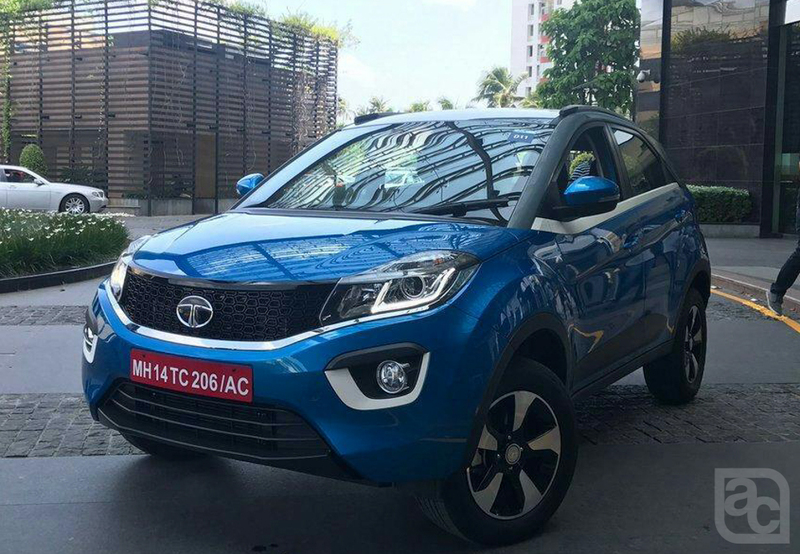 2017 Tata Nexon will be powered by a 1.2-liter turbocharged petrol engine and 1.5-liter turbo diesel engine and both of these will produce 108 bhp of peak power. First, in class 2 driving modes will be offered in all new Tata Nexon. A 6-speed gearbox will be offered in a diesel variant of the SUV that will make Nexon most frugal compact SUV in its segment. A multifunctional infotainment system looks like directly borrowed from Mercedes Benz A-Class.